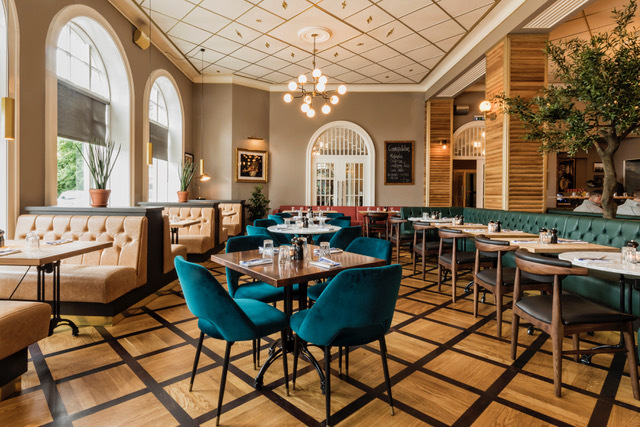 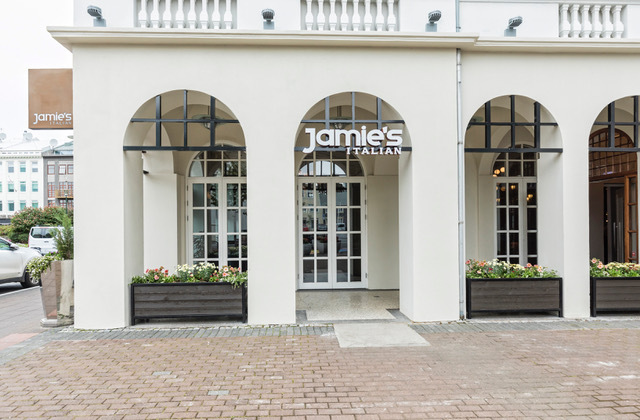 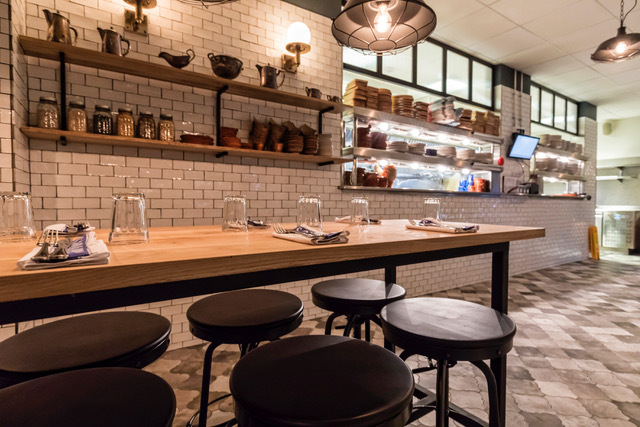 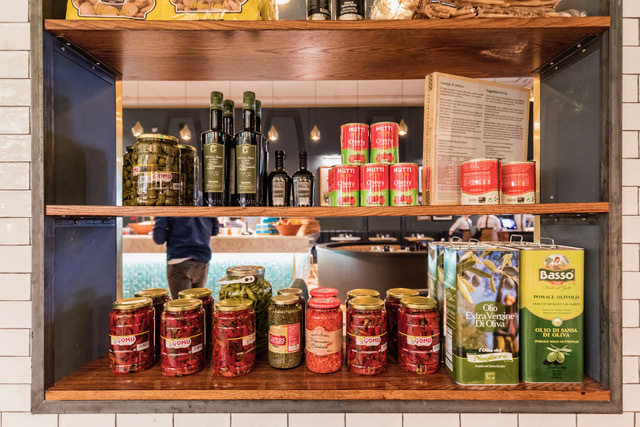 Restaurant Jamie's Italian opened a short while ago at Hótel Borg in the centre of Reykjavik. 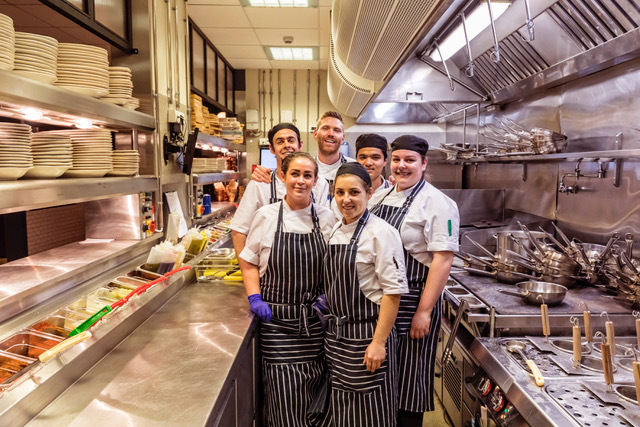 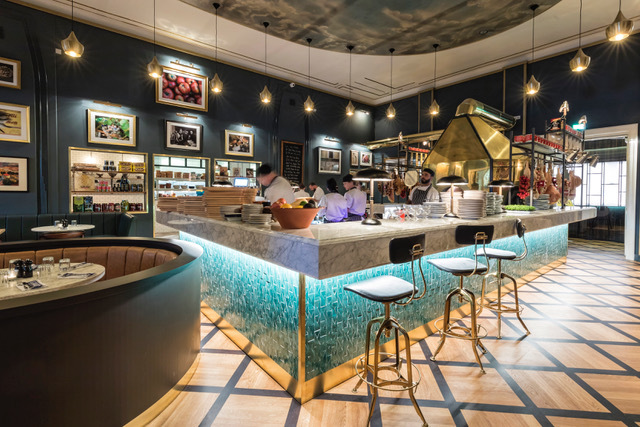 It now forms part of the famous restaurant chain of star TV chef Jamie Oliver. 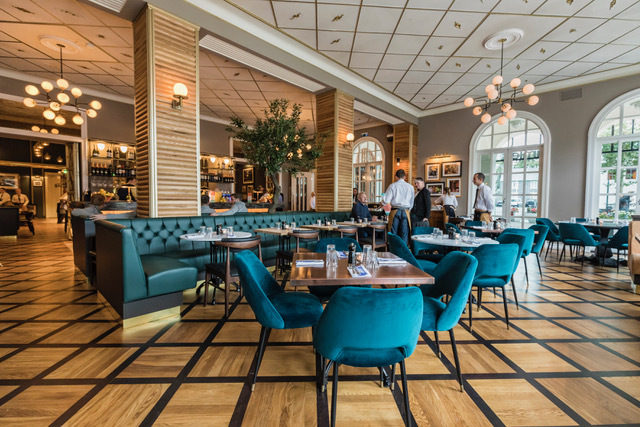 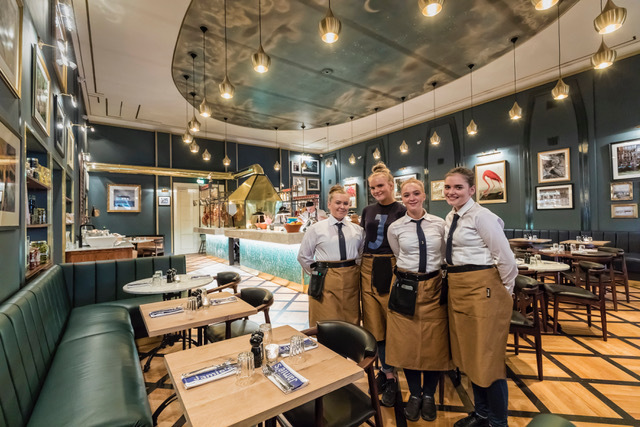 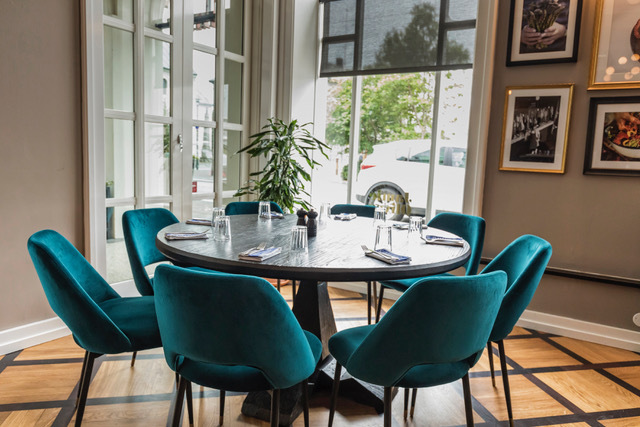 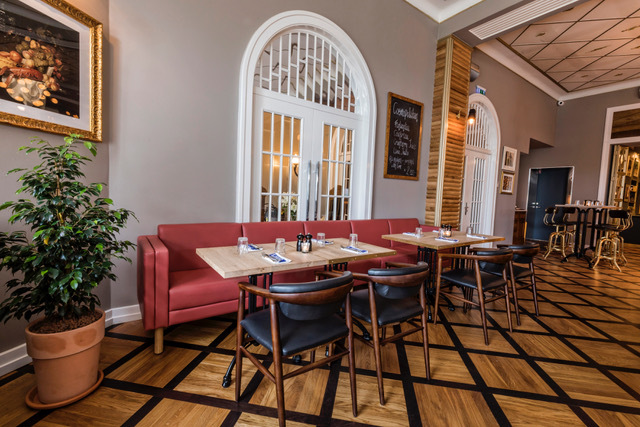 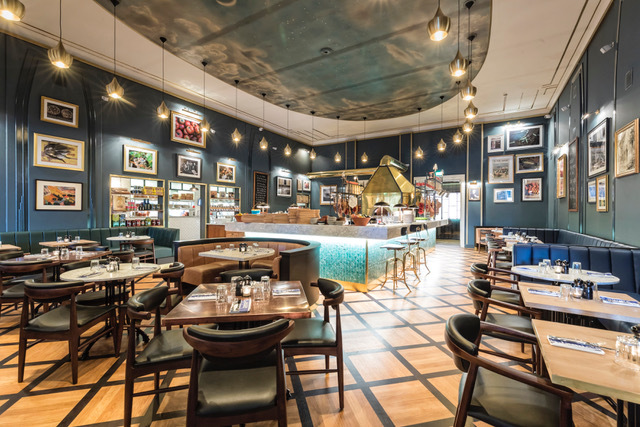 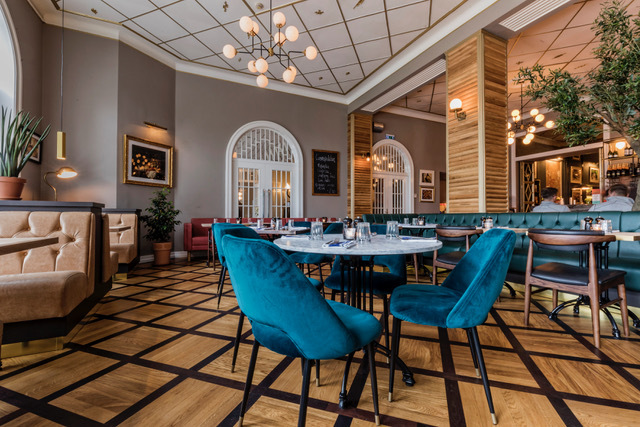 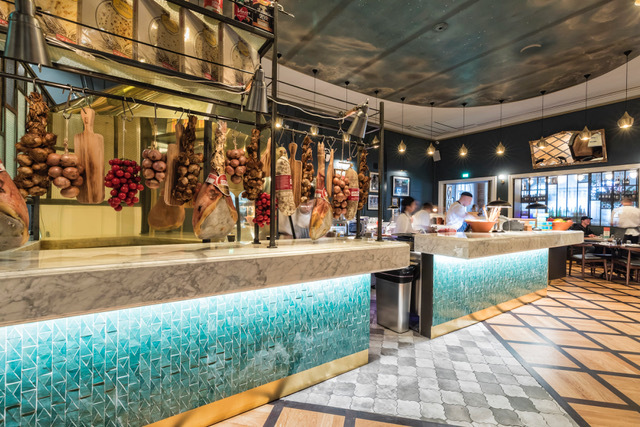 The restaurant was designed by Jack De Wet, who is the head designer for the Jamie's Italian and Jamie Oliver Restaurant Group. 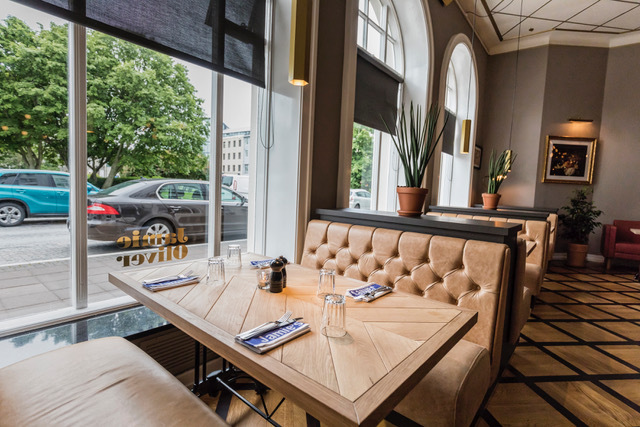 He created the atmosphere and then an Icelandic design team received his drawings and ideas and began searching for the right furniture, lighting and colours, as well as additional props to create the mood. 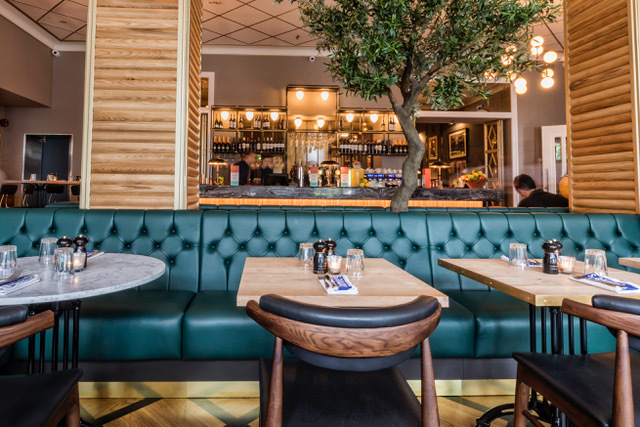 The lights are all from Restoration Hardware, the furniture from Icelandic shop Heimili og hugmyndir and all benches were made at Alter London.